Unique Micro Design present B-Till portable POS systems based around the Denso BHT-300 series of portable barcode terminals and B-Till application software. B-Till portable POS systems consist of the B-Till PD4 program, pre-installed on the Denso-300 series terminal, and the B-Till dashboard which runs on a PC. The B-Till dashboard creates an operation with barcoded stock lists, pricing, GST and opening stock levels, using a simple spreadsheet form for data entry. The dashboard is also used to set up the receipt printer and a simple 'upload' button transfers the shop stock files to the BHT-300 terminal. The B-Till PD4 program allows users to operate the BHT-300 terminal as a cash register. 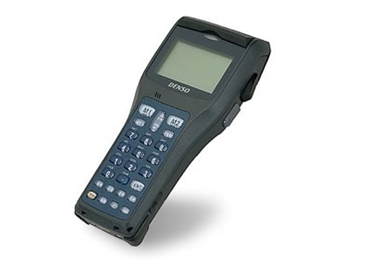 Simply generate sales items by scanning barcoded items. The program also opens the connected cash drawers, calculates change and performs general stocktaking and end-of-day procedures. Portable POS systems are important to retail operations. For a reliable and fully-featured product, B-Till portable POS systems ensure the benefits are felt by the user.